Claudia Prado is an Argentinean poet and documentary filmmaker. She is the author of three poetry collections: El interior de la ballena (Nusud, 2000), which won the third Fondo Nacional de las Artes Poetry Prize in 1999, Aprendemos de los padres (Rijksakademie van Beeldende Kunsten, 2002), and Viajar de Noche (Limón, 2007). She has codirected the documentaries Oro Nestas Piedras, about the poet Jorge Leonidas Escudero, and El Jardin Secreto, about Diana Bellessi. Prado is the recipient of grants from the Fondo Nacional de las Artes in Buenos Aires, Argentina and the Queens Council on the Arts in New York, as well as a participant at the NYFA 2018 Immigrant Artist Mentoring Program for Social Practice. She facilitates creative writing workshops in Spanish in New York and New Jersey, some with the support of Poets & Writers. How did your work with the National Domestic Workers Alliance begin? What drew you there? 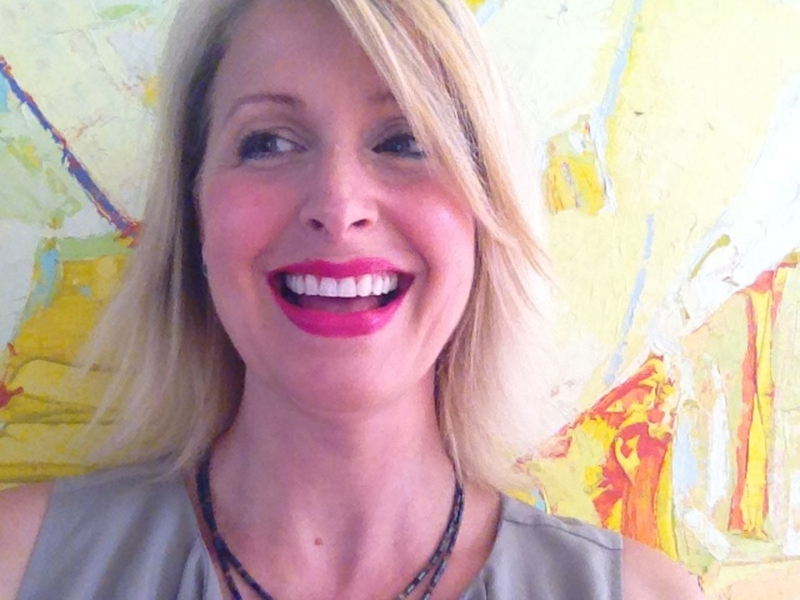 I’ve been running writing workshops for fifteen years. 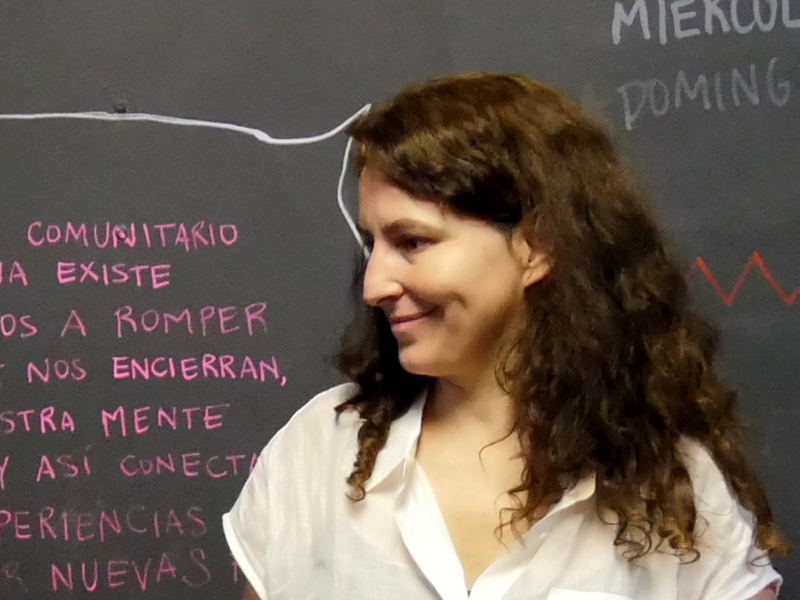 When I lived in Argentina, as part of an organization called Yo no fui, I ran a writing workshop in a women’s prison where I learned that, in very difficult situations, writing can be an especially valuable and meaningful practice. After arriving in this country, I kept organizing workshops independently, always in Spanish. I wanted to offer workshops that would be accessible to the entire Spanish-speaking community, most of all to those who felt an urgency to express themselves and to share their experience but who couldn’t afford to pay for a workshop. I believe that the opportunity to write in our own language and revisit the possibilities and beauty of it makes us feel at home. I began organizing free workshops at Word Up Community Bookshop, a beautiful bookshop run by a collective of volunteers. It was through Word Up that I learned about Poets & Writers’ Reading & Workshops program supporting workshops like the one I was running. At the same time, an artist friend of mine, Sol Aramendi, contacted me about the National Domestic Workers Alliance (NDWA). I worked with them for the first time in 2016. It was a very good experience, which we decided to repeat in the years that followed. This year, we’d like to print a bilingual anthology of the writing produced throughout the last three years of the workshop. Are there any techniques or exercises you use to encourage shy or reluctant writers to open up? I choose the readings for my workshops very carefully. I try to bring texts that I myself enjoy very much, and that can speak to a wide range of people, including those who aren’t in the habit of reading literature. During the workshop session itself, I dedicate whatever time is needed to the reading and discussion of the texts. For example, if we read a poem, we tend to do so several times. This way of reading tends to bring us to a shared place, separate somehow from everyday life. I also spend time thinking about prompts that invite writing about what is closest to us: what one did that morning, one’s own childhood, one’s language. Often, in the first few sessions, I think of exercises separated into parts: first, simply note your perceptions, memories, possible interlocutors, etc., and second, create a text from those notes. We talk about how the ability to create with words isn’t something alien to us—something that belongs only to those who had the privilege of studying and spending time reading—but rather something that we all do when we speak to each other in everyday life. We also talk about how writing is generated starting with a draft and then through multiple rewritings, not in one shot and then set in stone. These conversations also help us get writing. In addition to working with NDWA, you’ve recently begun working with the Hour Children/Hour Working Women Reentry Program. How did that collaboration begin? Have there been differences between programs? Ever since I moved to New York, I’ve thought about the possibility of continuing to work with women who are in prison or have recently been released. This year I was able to do this work thanks to the collaboration with HC/HWWRP and the support of Poets & Writers. The women I worked with were dedicated readers and had writing experience. One particularity of this group was that, even though Spanish was the language they spoke as children and with their families, currently they live their lives primarily in English. As a result, they experienced the workshop as a return to something familiar and very personal, which they had set aside. On the other hand, the moment when a woman is released from prison and is trying to rebuild her life is extremely difficult. These circumstances also made for a different working dynamic and meant that the texts created and shared in this group would be unique to their experiences. What has been your most rewarding experience as a teacher and as an artist? One of the happiest moments I have experienced is seeing how a person discovers that she enjoys reading and writing, how she begins to see it as something of her own and to dedicate time to it. Seeing how her expressive possibilities grow and how the texts become a way for her to think about herself and to relate to others—it’s very moving. When the workshop becomes a space that allows for such writing that can only come from a particular reality and a particular experience, we can all feel and see how it is so valuable. Photos: (top) Claudia Prado (Credit: Eduardo Piovano). (middle) NDWA reading (Credit: Neshi Galindo). (bottom) NDWA workshop members (Credit: Adriana Mora). Alicia Anabel Santos is author of the memoir, Finding Your Force: A Journey to Love, which was listed in the Advocate’s “21 LGBT Biographies and Memoirs You Should Read Right Now.” Most recently she is the recipient of the 2018 Bronx Recognizes Its Own (BRIO) Award in fiction for her novel in progress. 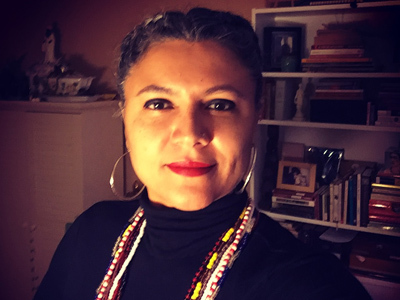 Santos is the founder and curator of the NYC Latina Writers Group, which has met monthly since 2006 offering writing workshops, events, and readings across genres. Her work has appeared in several anthologies, magazines, and online publications. When not organizing and facilitating writing workshops, she is a writing coach, aka The Writing Midwife, a filmmaker, playwright, teaching artist, and priestess. She has spent the last ten years working on the documentary Afrolatinos: The Untaught Story, which screened at the United Nations in 2017. For almost twelve years, the NYC Latina Writers Group (NYCLWG) has been meeting monthly for writing workshops and literary events. Our writers have gone on to have successful writing careers, developing one-woman shows, and writing plays. They have published and self-published memoirs and chapbooks and have started their own blogs. While many of us are publishing, some of our writers have lost hope. This was when our director of programs Wendy Angulo and I decided to look at the needs of the writers within our collective. What we discovered was that most of us needed more time to write and more workshops that would help us hone our craft. 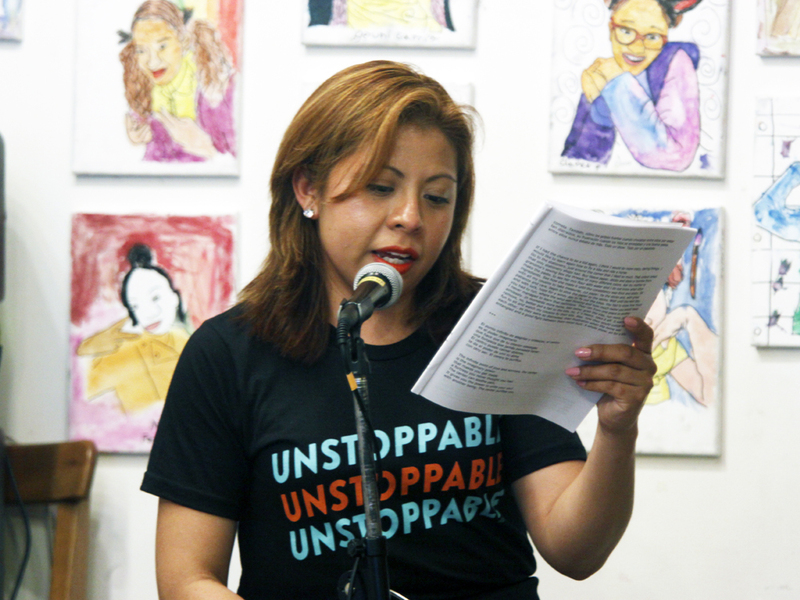 During a conversation one evening with my partner, educator and poet Yoseli Castillo Fuertes, we talked about the lack of representation of Latinx writers in literature, as well as the absence of writing opportunities for Latinx/WWOC writers. That evening the Sankofa Sisterhood Writers Retreat was born. Now in our fourth year we realized that in order to have some of our favorite authors and writers facilitate workshops we needed funding. This is where the generous support of Poets & Writers comes in. We are so grateful that this year, the NYC Latina Writers Group and the Sankofa Sisterhood have received funding for our writing workshops. 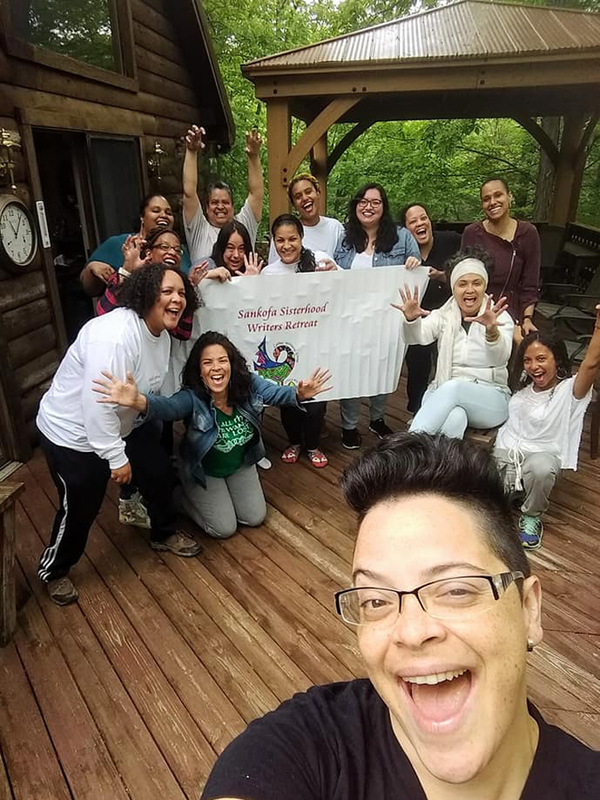 This past Memorial Day weekend, sixteen writers of color met at a cabin in the woods for a weekend of writing workshops and an open mic, where each writer got to share their work. As many writers know, writing can be isolating and lonely. Oftentimes, we crave an audience to help bounce ideas off of, or inspire new ones. One of the challenges many writers are faced with is carving out time for writing, and this is particularly challenging for women of color writers. Working with writers over the years, I have witnessed and heard countless stories about how hard it is to come to the page. This is why creating a safe space for writers of color is important to me. We lift one another. We remind each other that we are capable. We encourage one another to submit despite the fear of rejection. This year’s theme at Sankofa was “Strengthening the Writer’s Core.” Our workshops were centered on writing the story from the inside out. Each facilitator took the writers through prompts and activities to help get inside the stories we are writing and to feel everything that must be felt in order to find and show the truth in the story, poem, or essay. 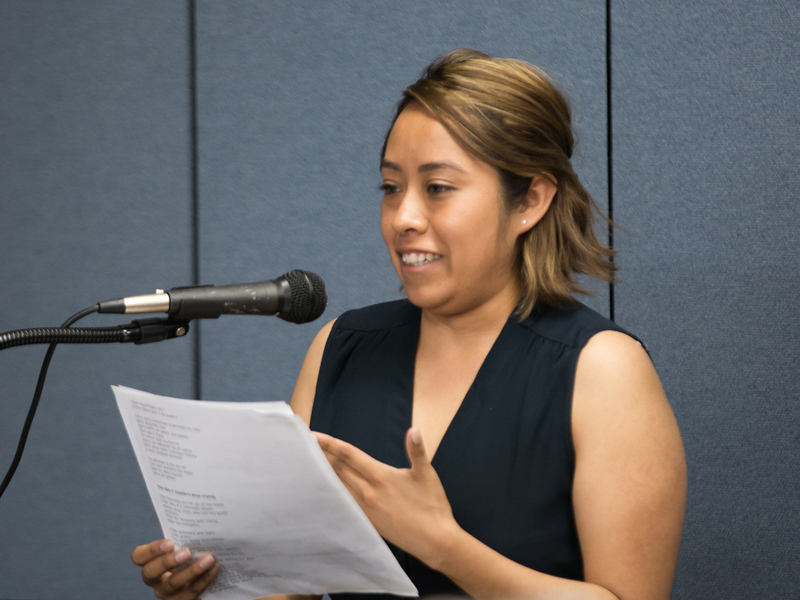 With the sponsorship of Poets & Writers, we were able to receive grants for two of our workshop facilitators, Vanessa Mártir and Mariposa Fernandez, for which we are so grateful. In the “Writing and the Body” workshop, Vanessa took us through a series of writing activities and prompts designed to help us explore the story behind the story, dig for the truth, and not fear what wants to rise. She showed us how we can access these stories in our bodies. Mariposa facilitated the workshops “Feeling & Healing” and “Sense & Sound,” as well as a performance workshop. In Mariposa’ s “Feeling & Healing” workshop, she used reiki to help us connect to the writing, which allowed for an opening of our creativity. There is often guilt around taking time to write, for fear of being seen as selfish. And this is precisely what the Sankofa Sisterhood is all about: It is a weekend designed for writers to be selfish and get the writing done. We understand that in order for the writing to happen, we need to create the space to make it happen. During our closing Sankofa ceremony, every writer sat in a circle and each one shared what they would take from the weekend and all that they gained from the four workshops and keynote speech. One of the writers shared that for the past three years Sankofa has been her new year, where she is able to reboot, recharge, and set intentions for what she wants to create during the year. This is why the Sankofa Sisterhood was created and what is the very heartbeat of the NYC Latina Writers Group. We have become a place of refuge, a place where writers of color can find their voice and know that in “this place” our stories matter, we matter. NYCLWG workshops are open to all Latinx women and women of color, women identified and nonbinary. We have workshops coming in June at the Bronx Academy of Art and Dance (BAAD), the NYCLWG Writers Conference, and we will be celebrating our twelth anniversary of the NYCLWG this October. For more information, find us on Facebook or e-mail us. Photos: (top) Alicia Anabel Santos ( Credit: Alicia Anabel Santos). (bottom) (front, left to right) Yoseli Castillo Fuertes, Liza Morales, Alicia Anabel Santos, Mariposa Fernandez (back, left to right) Azúcar Simone, Nichole Perry, Rebeca Lois, Danielle Stelluto, Maribelle, Vanessa Mártir, Ysanet Batista, Fanny Castillo, Nia Ita Sanchez (Credit: Sarahi Almonte). 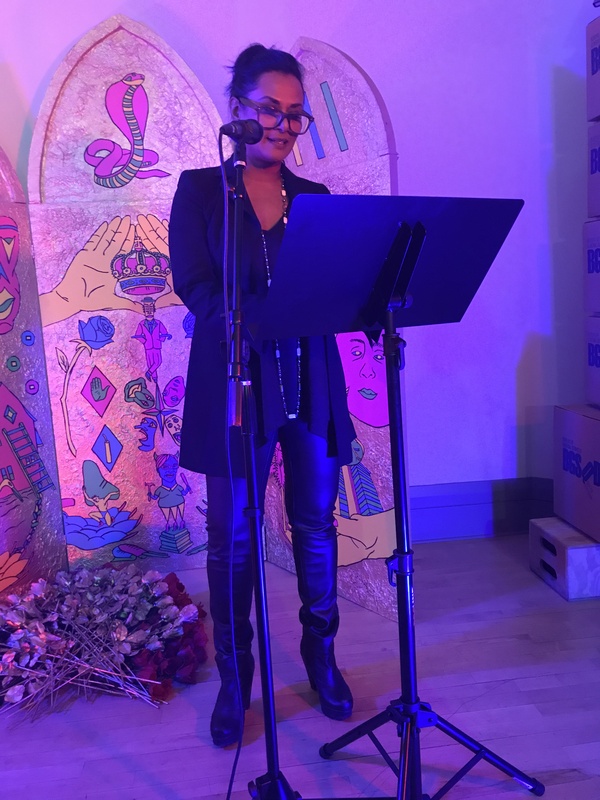 McCrindle Foundation Readings & Workshops fellow Sreshtha Sen writes about Poets & Writers’ ninth annual Connecting Cultures Reading held at the Center for Book Arts in New York City. Now in its ninth year, the Connecting Cultures Reading, sponsored and organized by Poets & Writers, celebrates the diversity of our literary community by bringing together several groups who’ve been funded by the Readings & Workshops program. 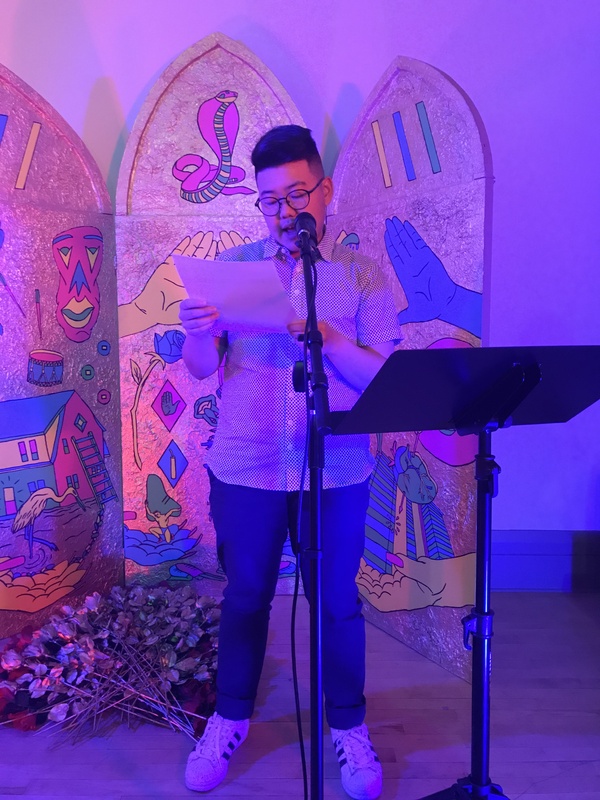 This year’s reading took place at the Center for Book Arts, and featured writers representing National Domestic Workers Alliance, the Newtown Literary Alliance, Leslie-Lohman Museum of Gay and Lesbian Art, Voices From War, and the What Would an HIV Doula Do? collective. Each group was represented by two readers who were introduced by the organizer or workshop facilitator they’d worked with. During their introductions, the organizers and facilitators all spoke about the motives behind their reading or workshop series and the shared themes that begin to emerge when writers find the community they’re craving. 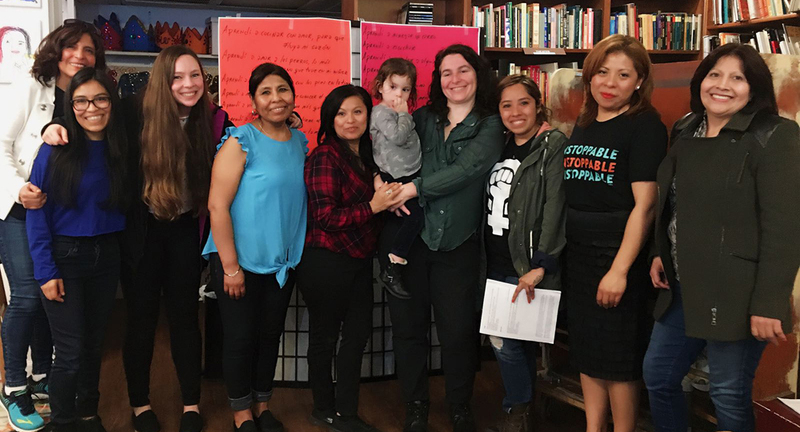 Claudia Prado, the facilitator for a workshop series with the National Domestic Workers Alliance, spoke about the powerful lessons that emerged out of their workshop theme: Things I have learned. “To have a workshop in Spanish,” she added, “is a great opportunity for us immigrants living in New York City to have a space to write, and hear about the process of writing and others’ voices in the languages of our native country.” Timothy DuWhite, the workshop facilitator from the What Would an HIV Doula Do? collective elaborated on the solidarity, success, and safety that new and returning workshop participants felt as their program was supported and able to continue running. As a nonprofit dedicated to both the contemporary and traditional practices of book making, the Center for Book Arts seemed a perfect fit for a cross-cultural reading that tackled struggles and victories from the past and the present. In a room surrounded by historically significant chapbooks, presses, and modern exhibits, the ten readers covered a range of themes from loss, violence, and power or the absence of it, to happiness as resistance, shared histories and love—familial or otherwise. Jack York, a writer representing the Queer Resistance Workshop at the Leslie-Lohman Museum, observed this when noting the range of each group and that having two readers from each group ensured that one story is not representative of everyone from a community or group, a struggle felt by almost everyone in the room. These five groups and their diverse, generous stories showcased the richness of artistic endeavors present throughout this city and served as a strong reminder of the reasons I applied to be a fellow for the Readings & Workshops program; it gave me a chance to see how programs like ours foster conversations amongst writers occupying different spaces, amplify voices we haven’t had a chance to hear yet, and work on making literature and art accessible to anyone who chooses to look for it. I’m grateful to all the featured readers and organizations, and the Center for Book Arts, especially Alex, Paul, and Emilie, for generously donating their space and time. Photos: (top) Silvina Reyes (Credit: Margarita Corporan). (bottom) Participants of the ninth annual Connecting Cultures reading (Credit: Margarita Corporan). Cristiana Baik is the director of Development at Richmond Area Multi-Services, Inc., a community-based mental health agency in San Francisco. She is committed to her work and in helping to create healthier communities and a more equitable society. Baik received a BA in Gender Studies/Cultural Anthropology from the University of Chicago, and an MFA in Creative Writing from the University of Alabama-Tuscaloosa. Her poems and reviews have been published in various journals, including the Boston Review, American Letters & Commentary, Drunken Boat, and Conjunctions. Her chapbook, The Stars Went Out and So Did the Moon, was published by Finishing Line Press in the fall of 2017. There are various facts we know related to mental health and stigma within the Asian American Pacific Islander (AAPI) community. According to the Centers for Disease Control, Asian Americans tend to be disproportionately impacted by mental health issues, but are less inclined to seek help for a multitude of reasons: in order to “save face”; because language barriers and the lack of culturally and linguistically responsive services effectively deny services to many first-generation AAPI residents; and due to ongoing social and cultural stigmas surrounding accessing mental health supports. Because of this, many young Asian Americans choose to keep their mental health issues within their family and/or seek religious advice, rather than professional help. To explore the complex terrain of mental health issues impacting our diverse AAPI community, Richmond Area Multi-Services, Inc. (RAMS), a Bay Area mental health agency committed to providing community-based, culturally and linguistically responsive services, held an event called “Open in Emergency: A Discussion on Mental Health Issues in Our Communities” on March 31, 2018. 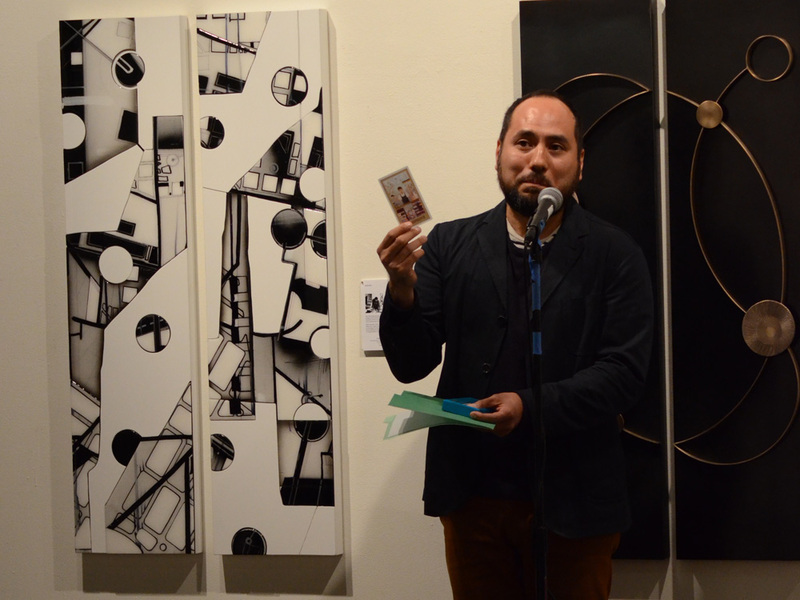 The event, which took place at San Francisco’s Arc Gallery & Studios, was a collaborative endeavor with the Kearny Street Workshop and the Asian American Literary Review (AALR). “Open in Emergency,” curated as a dynamic and interactive night market, integrated readings by P&W–supported poet Brandon Som and scholar Simi Kang, and interactive tables, which included tarot card readings using AALR’s beautiful Asian American Tarot deck and “Corner of Heart-to-Hearts” conversations catalyzed by cards created by Chad Shomura and illustrated by Yumi Sakugawa. This open space allowed the audience and contributors to interact in a way that was more relational and conversational. Audience members listened to the readings, but were also able to walk around the gallery and interact with the different stations. RAMS hopes to continue this event each year, in order to raise awareness of mental health stigmas, provide resources and referrals, and bring together different communities, including clinicians, mental health workers, scholars, poets, artists, and a broader audience-at-large. Support for this event and Readings & Workshops in California is provided by the California Arts Council, a state agency, and the National Endowment for the Arts, a federal agency. Additional support comes from the Friends of Poets & Writers. Photos: (top) Cristiana Baik (Credit: Crystal Baik). (bottom) Brandon Som (Credit: Andrew Taw). 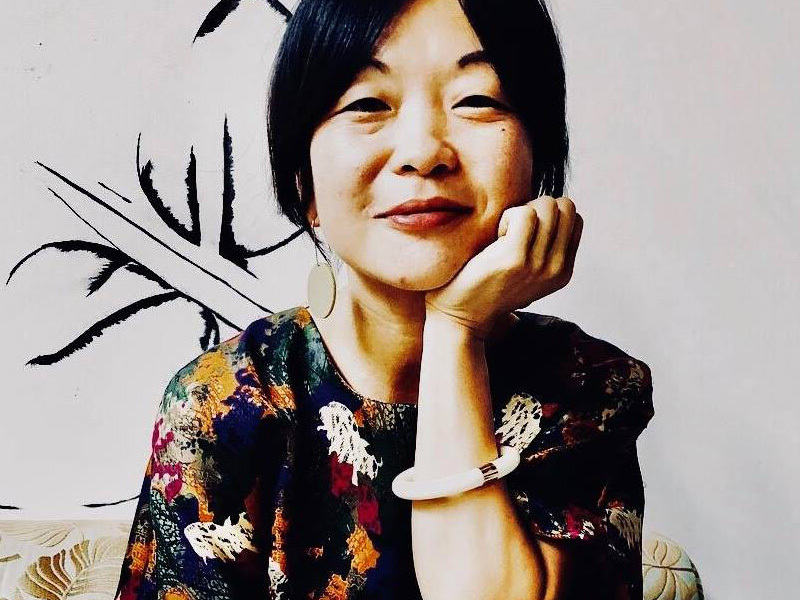 Mong-Lan, a Fulbright scholar and recipient of a Stegner Fellowship at Stanford University, has published seven books of poetry, most recently, Dusk Aflame: poems & art (Valiant Press, 2018), and three chapbooks. Her poetry has been awarded the Juniper Prize and the Pushcart Prize, and has been included in anthologies such as the Best American Poetry series. 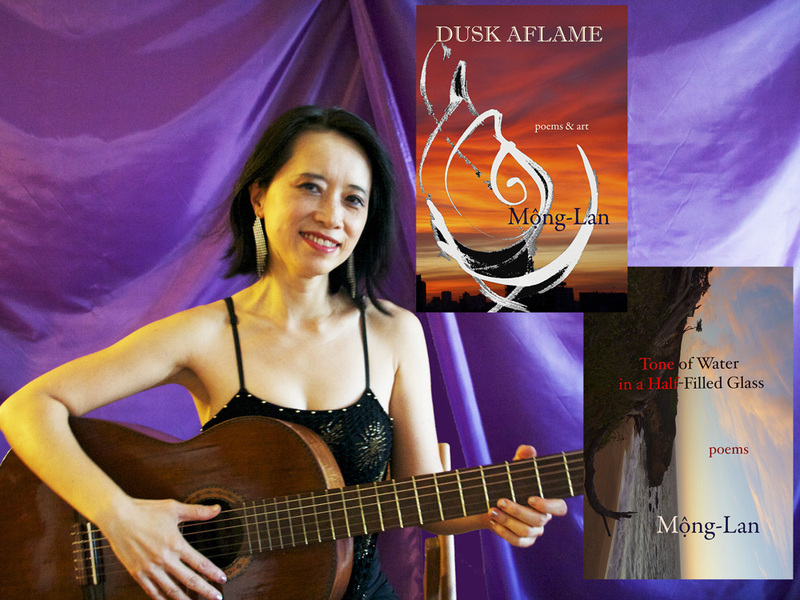 Mong-Lan is also a visual artist, musician, Argentine tango dancer, performer, and educator. She left her native Vietnam one day before the last evacuation of Saigon. I’m grateful that Poets & Writers has cosponsored me for three events: The Poets in Play poetry reading at the Soup Full Café in Corning, New York; a poetry writing workshop a day later at the ARTS Council of the Southern Finger Lakes; and a convivial reading at Wheeler Hill hosted by poet Michael Czarnecki of FootHills Publishing, which published my most recent chapbook, Tone of Water in a Half-Filled Glass. Finally, I taught a workshop for the Watkins Glen Writers Group, and later gave a reading. Through the generosity of Poets & Writers, I was able to promote my seventh book, Dusk Aflame: poems & art, and new chapbook. This was my first time participating in programs, readings, and workshops in upstate New York. I found everyone to be kind, curious, and inquisitive. My events in Corning, Wheeler Hill, and Watkins Glen have gone remarkably well with lively, attentive audiences. In each of the readings, in addition to reading and performing my poetry, I also performed several tangos and sang, accompanying myself on the guitar. My multimedia performances included recordings of my jazz piano arrangements which played in the background while I recited my poems. Workshop participants were refreshingly open with a willingness to read and experience diverse writers, and a desire to talk about and discuss new ideas and strategies. Some audience members joined me from one event to the other, driving the long, winding roads from town to town. Without Poets & Writers’ cosponsorship, I would not have been able to make this tour to upstate New York. Thankfully, Michael and Carolyn Czarnecki of FootHills Publishing hosted me in their rustic off-the-grid home on Wheeler Hill during most of my time there. Michael, with his indefatigable energy and generosity, drove me to and from readings and workshops, and introduced me to his friends and colleagues. I’ve met wonderful poets and writers such as Steve Coffman, Mary A. Hood, and Martha Treichler, who studied with Charles Olson all those years ago. I’ve enjoyed sharing my writing, books, art, knowledge, and teaching with this community, and am deeply grateful. Photo: Mong-Lan with her book covers (Credit: Mong-Lan). Sarah Sala’s debut poetry collection, Devil’s Lake, was a finalist for the 2017 Subito Press Book Prize and her poem “Hydrogen” was featured in the Elements episode of NPR’s hit show Radiolab. She is the series facilitator for Office Hours Poetry Workshop, and coproduces AmpLit Fest with Lamprophonic and Summer on the Hudson. 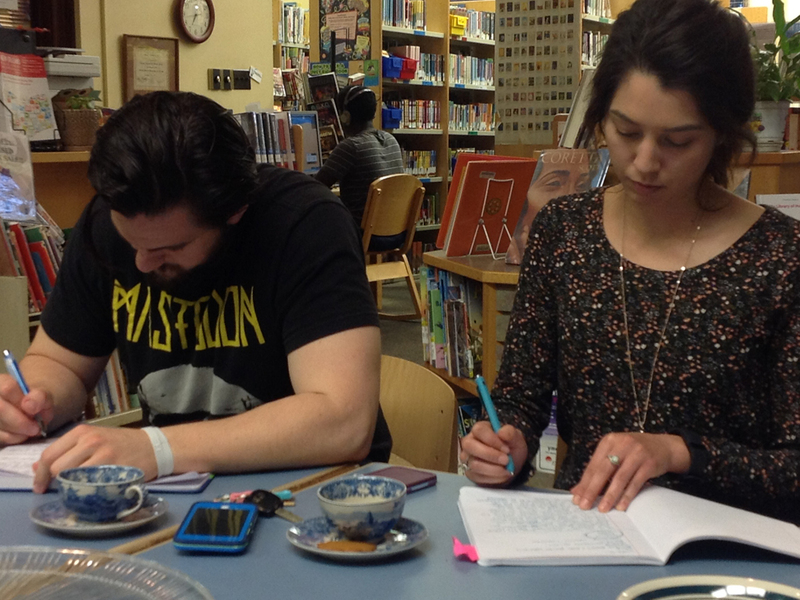 Office Hours Poetry Workshop emerged from the deep need for a program that supports and elevates post–MFA writers. The goal: to build a no-fee workshop that accommodates full-time work schedules, childcare needs, and celebrates writers who are POC, LGBTQ+, women-identified, adjunct instructors, and any and all combination. More than anything, I wanted to compensate our writers. The Poets & Writers’ Readings & Workshops grant became a profound way to do so. In many ways, publishing has left poetry behind. Some magazines charge fees to submit work, and often can’t afford payment upon publication. I regularly see venues advertise $100 pay for fiction or nonfiction pieces and only $25 for poems. While I recognize this scale is often based on word count, it speaks volumes about the legitimacy of poetry in the modern arena. June Jordan said that poetry is a political act because it involves truth telling. Very often this means writing through a lens counter to mainstream culture, embodying our power and vulnerabilities on the page, and practicing radical empathy with fellow artists. 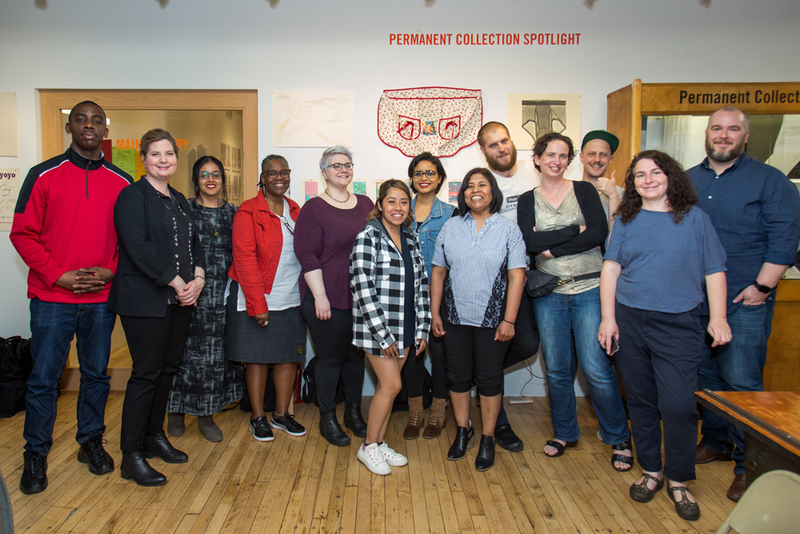 For this reason, it was an immense pleasure to introduce the Office Hours Spring Showcase fellows at the Bureau of General Services–Queer Division (BGSQD). Next, Yanyi read his self-described “soft prose poems”—rich and particular renderings of the domestic. Caitlin McDonnell’s lyric narratives confronted the reality of gun violence in America and presented a tapestry of inventive first lines from novels she’s written and/or abandoned. Holly Mitchell’s lush writing strode between epithalamion and coming-of-age in a conservative landscape. Paco Márquez rounded out the night with sinuous poems from his new chapbook, Portraits in G Minor (Folded Word, 2017), and treated the audience to the Spanish and English versions of a Pablo Neruda poem he recently assisted William O’Daly in translating from Book of Twilight (Copper Canyon Press, 2017), a recent publication of Neruda’s debut book, Crepusculario. Overall, the evening was overwhelmingly restorative. Here, in New York City, and at the Bureau, we make our home among friends as we seek to change the status quo. Photos: (top) Sarah Sala (Credit: Talya Chalef). (middle) Sanj Nair (Credit: Sarah Sala). (bottom) Yanyi (Credit: Sarah Sala). For years, Poets & Writers’ Readings & Workshops program has been conducting Literary Roundtable Meetings in California and New York State. The meetings bring together people from all areas of the literary community to share ideas, news, and resources. In California, eight community meetings are held a year. This spring, a meeting was held in California’s Inland Empire region, an area centered around the cities of Riverside and San Bernardino. The guest speaker was Dr. Ernie Garcia of the Garcia Center for the Arts, where the meeting was held, and the cohost was Cati Porter, director of the Inlandia Institute. 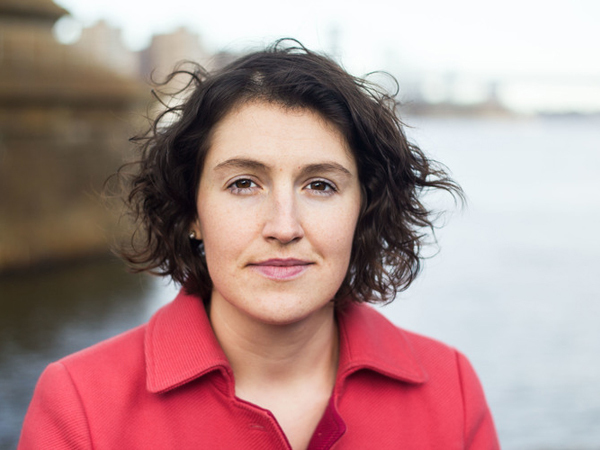 Porter is a poet, editor, essayist, and arts administrator, and her third poetry collection, The Body at a Loss, is forthcoming next year from CavanKerry Press. 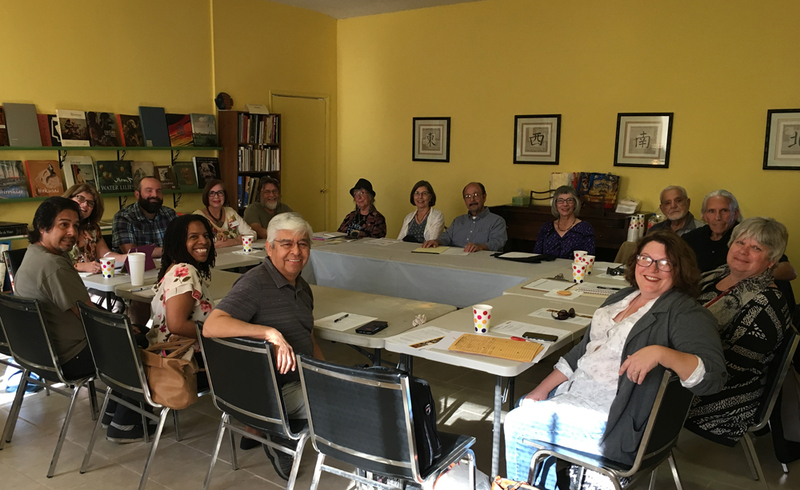 She writes about the value of the annual Literary Roundtable Meetings and the recent gathering in San Bernardino, California. For the past decade, Inlandia Institute has been the Inland Empire regional partner for Poets & Writers’ annual Inland Empire Literary Roundtable Meeting. We have always held the meeting at a local library, but this year thought it would be fun to mix it up and meet at the Garcia Center for the Arts in San Bernardino. Situated in an urban center, the Garcia Center is an oasis. Opening the front gate is like stepping through a portal: The courtyard is filled with desert-loving flora. Banana trees, heavy with fruit, bend over the walkways. A fountain purrs. The building is a Spanish adobe, once abandoned and now rehabilitated, and home to artist studios and arts organizations, including a second office for Inlandia. The Garcia Center is named after and run by Dr. Ernie Garcia, our guest speaker for the roundtable that day. I arrive early and can already hear voices as I make my way toward the community library for the meeting. That’s when I find Ernie sitting on a bench in the courtyard with another early arrival. The three of us head into the “library,” a large room stocked, thanks to generous community donations, with books and comfy chairs. An island of tables has already been set up for our meeting. Soon Jamie Asaye FitzGerald, director of Poets & Writers’ Readings & Workshops (West), arrives—and then about a dozen others. Just inside the door is an upright piano, another donation, and Jamie sits and plays for us as we settle in. The table fills up quickly. We have just begun going around the room introducing ourselves when two more people walk in, then one more, then a couple more again, until nearly every seat is filled including the wing chairs and sofa. Among those present are Timothy Green of Rattle literary magazine, Richard Soos of Cholla Needles Press, Jennifer Kane of Arts Connection, Juan Delgado of California State University in San Bernardino, Cindy Rinne of the San Bernardino Valley Concert Association, Edward Ferrari of PoetrIE, and Nikia Chaney, the Inlandia Literary Laureate. In all, twenty-five people coming from as far and wide as Sun City, Rancho Cucamonga, Barstow, Ontario, Wrightwood, Forest Falls, Joshua Tree, Yucaipa, Moreno Valley, Redlands, and Riverside. There is such thirst for this kind of support for artists and writers in Inlandia that folks were willing to drive great distances just to connect. Dr. Garcia—aka Ernie, aka Neto Esquelito—gives us an oral history of the Garcia Center, and then reads from his book, Growing Up Aleluya, about religious intolerance in the barrio of South Colton, California. When Ernie finishes, I pull out a pair of scissors. Ernie, Nikia, and I push back our chairs and walk to a trio of bookshelves behind me, a red ribbon draped across. Ernie cuts the ribbon. The sign beneath reads: Inlandia Poetry Library Donated By Inlandia Literary Laureate Nikia Chaney. 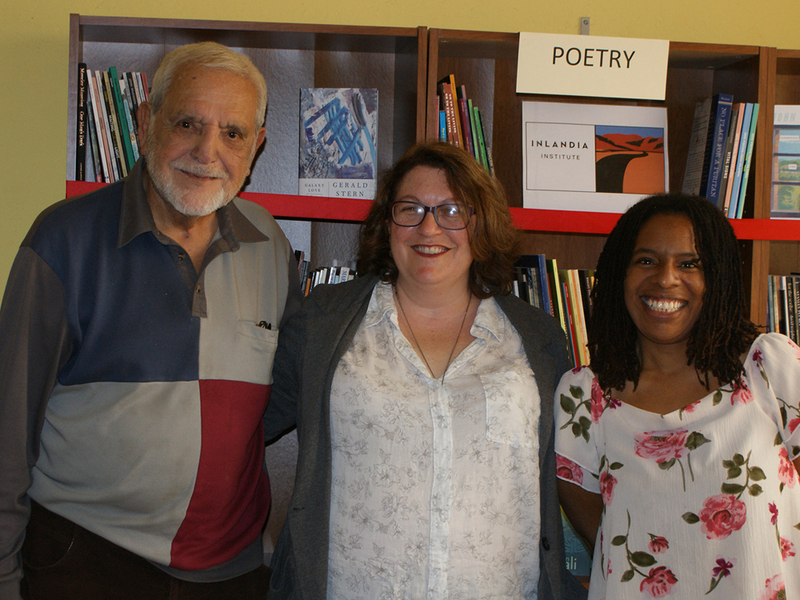 Nikia found herself with more books than bookshelves after serving as a judge for this year’s Kate and Kingsley Tufts Poetry Prize, so she decided to donate them as part of her laureateship to form the Inlandia Poetry Library at the Garcia Center. More than four hundred poetry books are now free to the public to check out, on the honor system, when the center is open. Writing is about connecting. It’s not, as they say, always a solitary act. Community is the well we drink from after the long journey inward. What Poets & Writers does is create someplace for us to come back to—for exchange of ideas and connection with other writers—something that, in the Inlandia region, is hard to come by. Photos: (top) Dr. Ernie Garcia, Cati Porter, and Nikia Chaney (Credit: Cindy Rinne). (bottom) Inland Empire group (Credit: Jamie FitzGerald). A four-time National Poetry Slam champion, Taylor Mali is one of the original poets to appear on the HBO series Def Poetry Jam and is the author of two collections of poetry and a book of essays, What Teachers Make: In Praise of the Greatest Job in the World (G. P. Putnam’s Sons, 2012). 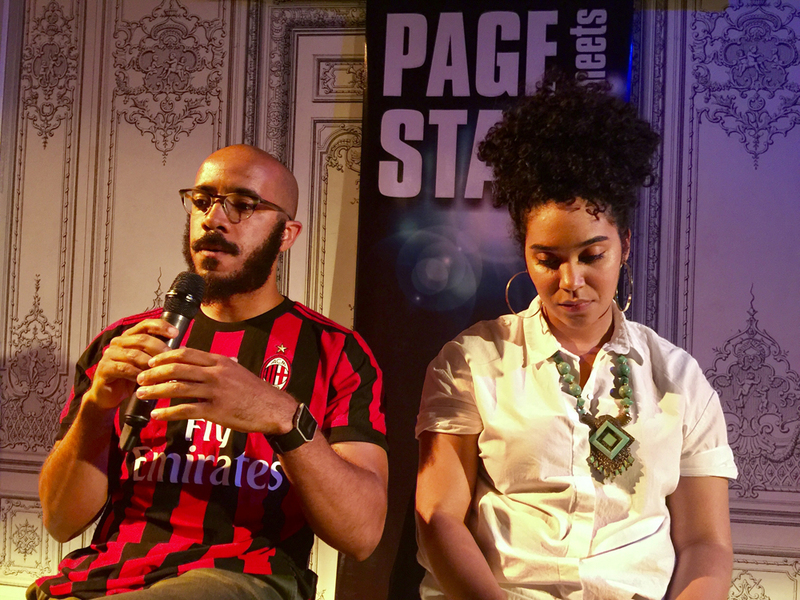 He is the founding curator of Page Meets Stage, a monthly poetry series in New York City that pairs two poets to perform a conversation through their work. How did Page Meets Stage begin? What was your inspiration? The inspiration for the series actually started with Billy Collins. I’ve been a fan of his work for years and now consider him a mentor. In the early 1990s, I used to write him a fan letter every couple months or so, and every letter ended with an invitation for him to come read at a poetry slam series that I used to help curate at the Bowery Poetry Club. In 2005, after a decade of these letters, he finally agreed, and he had a wonderful time. I suggested that we arrange another reading with just the two of us and call it “Page vs. Stage.” He liked the idea, and somewhere along the way in planning the format for the night, we decided that it would be interesting if we went back and forth, poem for poem, perhaps having a conversation through our work. The reading was a great success, in part I suspect, because of the unique format, which the audience loved. Since then, we’ve had several different pairings of poets, always with one representing a more performative style of poetry and the other, more literary. Currently, I work with Mahogany L. Browne, April Ranger, and MaryCae to produce the show once a month and we are still at the Bowery Poetry Club! What have the challenges been to sustaining such a long-running program? Promotion has always been the issue. There’s always something good to watch on TV, and people seem happy these days to sit in a comfy chair for a few hours with only their smart phones (I know because I’ve been that person). It’s an awful feeling when you craft a spectacular pairing—with two poets who don’t know each other but whose work blends together in just the right way—and then only two people show up for the show! We’ve had some wonderful pairings that were so poorly attended that I’ve been tempted to call it quits. Has your mission or your vision for the organization changed over the years? What’s most important for you right now? In the beginning, I was probably on a mission to garner more respect for spoken word poets. I wanted to show the world that spoken word poets are just as concerned with craft as the next poet; but they understand that how you read a poem is also important. In the thirteen years we’ve been around, the line between page and stage has been bent in some places and blurred in others. There are former slam poets who are finalists for the National Book Award like Danez Smith, university professors such as Patricia Smith and Jeff McDaniel, and even Pulitzer Prize winners and Guggenheim fellows such as Tyehimba Jess. Furthermore, we’ve had about six poets who have done both sides of the pairing, stage the first time and page the second. So these days, we don’t care quite so much about labels. We just try to craft a great night for people to hear great poetry. What has been your most rewarding experience as a curator and organizer? There have been a lot of great pairings and some fantastic ones coming up as well, but a couple of moments have stuck with me. I got to share the stage with Galway Kinnell before he died. Back then we also traded poems during readings so Galway read one of my poems, and I performed his poem “The Waking” from memory, which takes five minutes to recite and is probably the longest poem I’ve ever memorized. 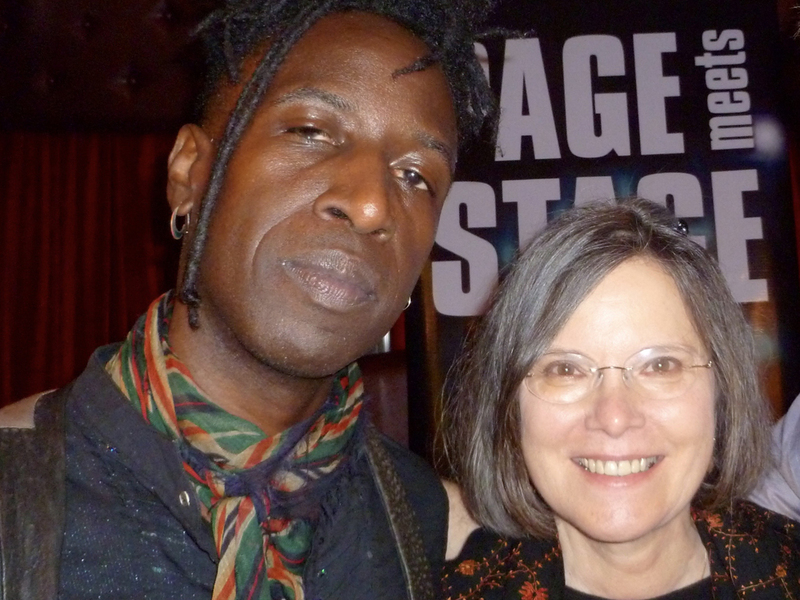 I’d also been trying to get my friend Saul Williams to participate for years, and I finally got him to agree in 2014. I asked what his dream pairing would be, and he said, “Without a doubt, Carolyn Forché.” As luck would have it, I had just taken a workshop with Carolyn, so I was able to set it up. That’s a pairing I would never have concocted on my own, but it remains one of my favorites. I am hesitant to even mention this because it’s still months away, but two of my favorite poets, Ocean Vuong and Sharon Olds, are scheduled to read together on Sunday, October 28, which will be very exciting. Photos: (top) Billy Collins and Taylor Mali in 2005 for the inaugural reading of the series (Credit: Taylor Mali). (middle) Clint Smith and Elizabeth Acevedo (Credit: Taylor Mali). (bottom) Saul Williams and Carolyn Forché (Credit: Taylor Mali). Sarah RudeWalker is a poet and an assistant professor of English at Spelman College specializing in Rhetoric and Composition. Her scholarship focuses on the literature of African American social movements, and she is currently finishing a book manuscript on the rhetoric and poetics of the Black Arts Movement during the 1960s and 1970s. Her creative and scholarly work has appeared in Pluck! The Affrilachian Journal of Arts & Culture, Callaloo, and Composition Studies. With the renewed support of Poets & Writers this school year, the Department of English at Spelman College has been able to deepen our offerings to the Atlanta University Center (AUC) and West End communities in Atlanta by featuring readings and workshops with brilliant African American women poets. 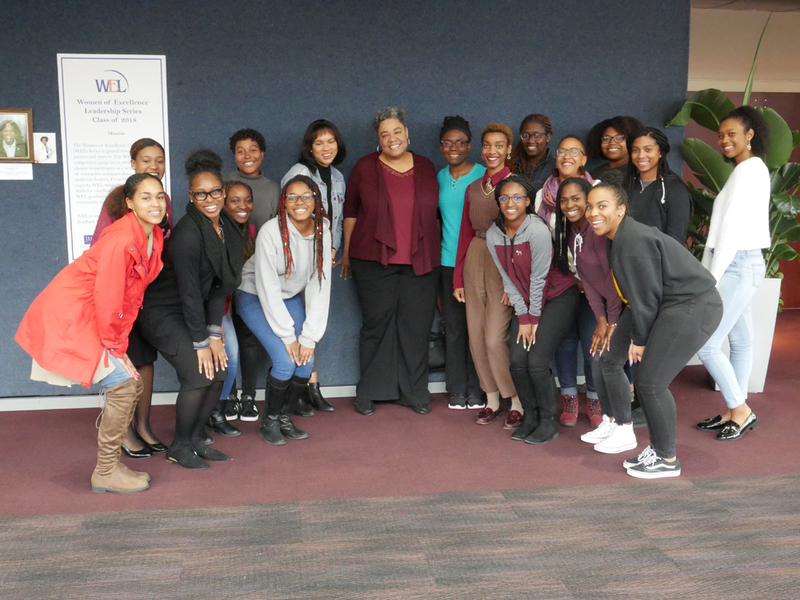 This March, poet Kamilah Aisha Moon kicked off what we call “Lit Week,” a week of events coordinated by Spelman College faculty member and noted poet Sharan Strange and Spelman literary scholar Dr. Michelle Hite. The events aim to highlight the possibilities for art and activism that spin out from the dedicated study of English. Moon, currently an assistant professor of poetry and creative writing at Agnes Scott College, is a Pushcart Prize winner, Lambda Award finalist, and Cave Canem fellow with two published books of poetry: She Has a Name (Four Way Books, 2013) and Starshine & Clay (Four Way Books, 2017). 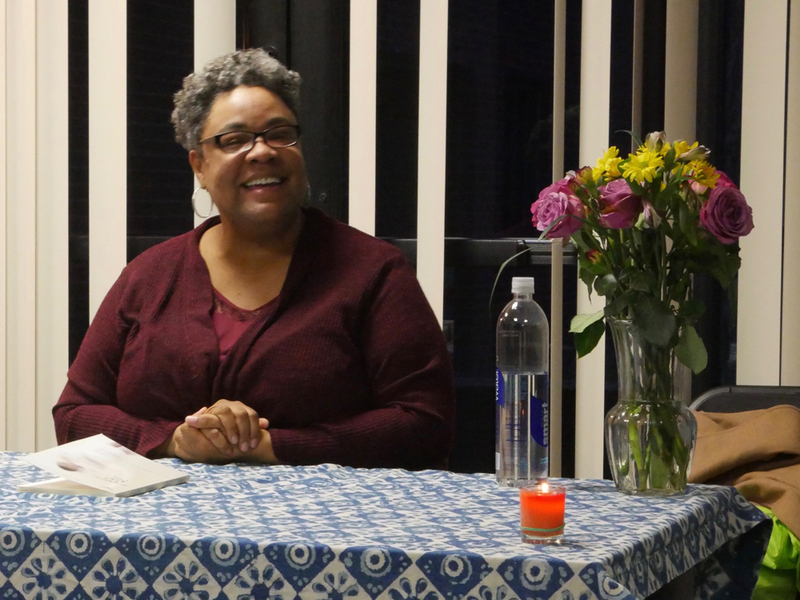 The Poets & Writers–sponsored events with Moon on March 26 included a craft talk and workshop for student writers, and an evening reading for the community. Moon spent the afternoon talking about craft, inviting students to consider the power of their creative work to “bear witness.” This power, she observed, depends on the writer’s ability to practice craft with attention and empathy. One of the worst things we can do to each other, she observed, is to render someone invisible, and writers, who purposely aim to be “mirrors of treachery and glory,” have the power to do just the opposite: to help us see each other, and especially to see the familiar in a very different way. Moon invited students to interrogate this potential in their own work by presenting her work with disarming vulnerability, sharing early drafts and asking students to critique the choices that led to the final versions of her poems. The reading that evening was lovingly intimate and set up in Spelman style: Audience members entered to find Moon seated at a candlelit table and listened to a recording of the a capella ensemble Sweet Honey in the Rock as they waited for the reading to begin. Moon opened the reading by noting that although she was never a student at Spelman herself, she fondly remembers the AUC as social stomping grounds for her and her friends. The reading that followed was exemplary of what can happen when the work of a black woman poet is honored within a black women-centered space. Moon read from Starshine & Clay, whose Lucille Clifton-honoring title is meant to cover a lot of ground—the world of the personal and the public, of the grief and love and joy that exists between the starshine and the clay. Reading her poem “The Emperor’s Deer,” which she first wrote for Michael Brown, she asked the audience to hear it as mourning for the recently murdered Stephon Clark. Reading from the book’s third section, the author asked the audience to acknowledge the ways that personal traumas and historical traumas are intricately connected, to recognize that both the joy and pain of the personal persist while a public trauma blazes and burns. “I never read these,” she admitted, smiling. Support for Readings & Workshops in Atlanta is provided by an endowment established with generous contributions from the Poets & Writers Board of Directors and others. Additional support comes from the Friends of Poets & Writers. Photos: (top) Kamilah Aisha Moon (Credit: Sarah RudeWalker). (bottom) Spelman College students with Moon (Credit: Sarah RudeWalker). Allison Alsup’s short fiction has been published in multiple journals and won multiple awards including those from A Room of Her Own Foundation, New Millennium Writings, Philadelphia Stories, and most recently, the Dana Awards. Her short story “Old Houses” appears in the 2014 O’Henry Prize Stories and has since been included in two textbooks from Bedford/St. Martin’s: Arguing About Literature: A Guide and Reader and Making Literature Matter: An Anthology for Readers and Writers. Alsup received an MFA in Creative Writing from Emerson College, and is the recipient of artist residencies from the Aspen Writers Foundation and the Jentel Foundation. In 2017, she and several colleagues launched the New Orleans Writers Workshop, through which she currently teaches community-based creative writing workshops. I’ve taught writing for most of my adult life, but community classes, particularly fiction workshops, occupy a special place in my heart. Unlike college classrooms or graduate programs, community classes cast a wide net, attracting a spectrum of writers of all ages, diverse backgrounds and experience. Suddenly a cross section of people that might not otherwise connect gather around a table with a single common purpose: to transform seething, raw images and words into comprehensible, moving stories. Here the CPA rubs shoulders with the waitress, the civil servant with the entrepreneur, only to find that when it comes to the vagaries of the human heart, they have more in common with one another than they might have otherwise thought. Thanks to a recent grant from Poets & Writers’ Readings & Workshops program, I had the chance to witness firsthand the tremendous material such community classes can generate, even in a limited amount of time. Short Story Essentials met for three Monday evenings at a local public library in New Orleans. Though the class was aimed at adults, the library was designed for children. Despite low tables and tiny chairs, and thanks to a steady supply of ginger snaps and tea from head librarian Linda Gielac, we managed to tackle a pretty big idea when it comes to crafting story: how to write compelling scenes. Each week, we talked a bit of shop and about technique, but the bulk of our time was spent in heavily guided exercises that began with pre-writing, specifically with take no prisoner questions centering on character, motivation, conflict, and stakes. Together these answers helped to clarify what can stymy even the most advanced of writers: a scene’s given function in the story’s overall arc. What followed was a sustained writing period that alternated between gentle nudging on my part about juggling details around setting, movement, interiority, backstory, and dialogue, and brief periods of silence during which participants scribbled at record speed. Great scenes require both conceptual understanding as well as gusto. Between meetings, many writers used their time to their advantage, typing up rough drafts and revising with an eye towards clarifying choices on the page. Sessions were designed to be sequential with each week’s scene building upon the last. As a result, every writer left with a substantial chunk of story, and in some cases, a complete work. It would be hard for me to exaggerate the importance such a series has on my own writing. I can think of little else that hones my own understanding of scene more than creating, from scratch, an exercise that leads writers from a given premise through its complication to its apex. Nor can I imagine greater inspiration than listening to the plethora of rich storylines that result: a hitherto loyal employee who, due to a chance mistake, ponders a life of embezzlement; a mother who must shatter her teenage daughter’s naïveté about a nefarious uncle; an immigrant cab driver who must confront his past war crimes. Thanks to Poets & Writers, these stories and more are well on their way. Photos: (top) Allison Alsup (Credit: Allison Alsup). (bottom) Sean Gremillion and Asha Buehler (Credit: Allison Aslup).